was born in Pasadena, CA and raised in Inglewood, CA. Jalen is a current junior at Manual Arts High School with a 3.0 GPA. A few of Jalen’s interest include writing music, skateboarding, sports and playing video games. Mr. Johnson would like to attend Sacramento State University and is also open to Universities with a focus on music. Jalen currently participates in his school’s basketball team, football team and choir. Outside of school Jalen is a member of USC’s upward bound program and apart of The Now Boarding Corporation’s, Wanderlust Council. is currently a junior at Crenshaw High School. Corey was born and raised in Los Angeles in the South-Central area and holds a 3.6 GPA. Among Corey’s many interest he enjoys playing basketball and video games. Corey now has his eyes on attending Arizona State, USC or UC Merced. Mr. Ray is currently interested in pursuing a career as a Mechanical Engineer and participates as a member of USC’s Upward Bound program & The Now Boarding Corporations, Wanderlust Council. One place Corey would like to travel to is Toronto, Canada as it is the home town of his favorite basketball team the Toronto Raptors. was born in Inglewood, CA and currently attends Leuzinger High School. Marvell is currently sophomore with a 3.0 GPA and has dreams of being a pilot. Outside of school Marvell enjoys cooking, flying and running track & field. He would like to attend the University of North Carolina or UCLA for college and pursue a degree in the aviation field. Mr. Pamilton chose the field of aviation because he loves to fly and has always wanted to travel. He is currently involved in his schools Black Student Union and Arc AVID program in addition to being a member of The Now Boarding Corporations, Wanderlust Council. was born and raised in Los Angeles, CA and currently attends Crenshaw Magnet High School. Malachi is in the class of 2019 and holds a 3.5 GPA. His hobbies include playing basketball, jogging, listening to music and going to amusement parks. 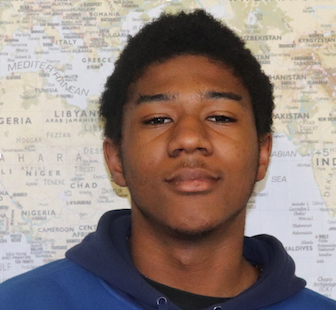 Mr. Moreira wants to be the first person in his family to attend college and is interested in attending UCLA, University of Oregon or University of Kentucky. 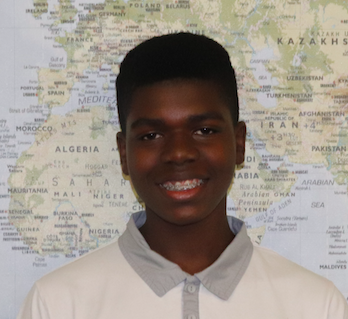 Current career interest for Malachi are business finance or accounting. One place Malachi is interested to travel to is China.